First things first: All the materials and manufacturing methods are acutely vegan compliant - no animal products are used in the making of this footwear. 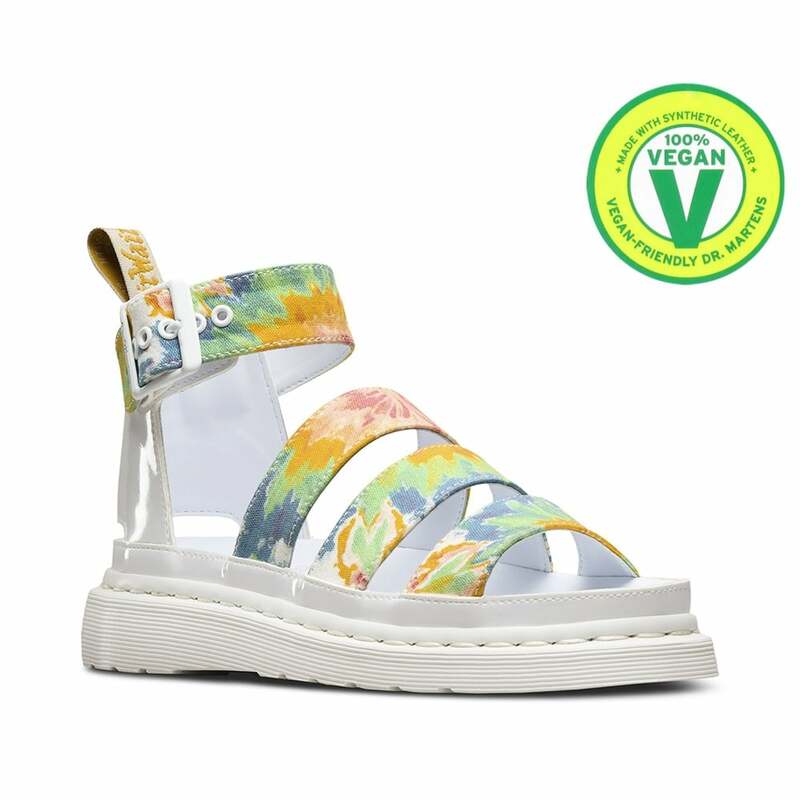 This Tie-Dye Clarissa Womens Vegan Sandal from Dr Martens serves up sunny skies via a colour pop of tie-dye grunge against a bright white sole. In other words, it's ready for a pair of shorts and the 2017 summer festival lineup. The sandals are Goodyear welted, meaning the upper and sole are sewn together in our heat-sealed z-welt stitch for enhanced comfort. There's no need to compromise: the Clarissa womens sandal is made with fine canvas and is certified 100% Vegan.